The cost of owning a cat is something that every budding cat owner needs to think carefully about. Before you make that great leap into pet ownership (and pet companionship! ), you need to make sure you are able to provide adequately for your soon-to-be pet. It’s important to do this to make sure your cat is happy and well-kept for the whole of their lives. 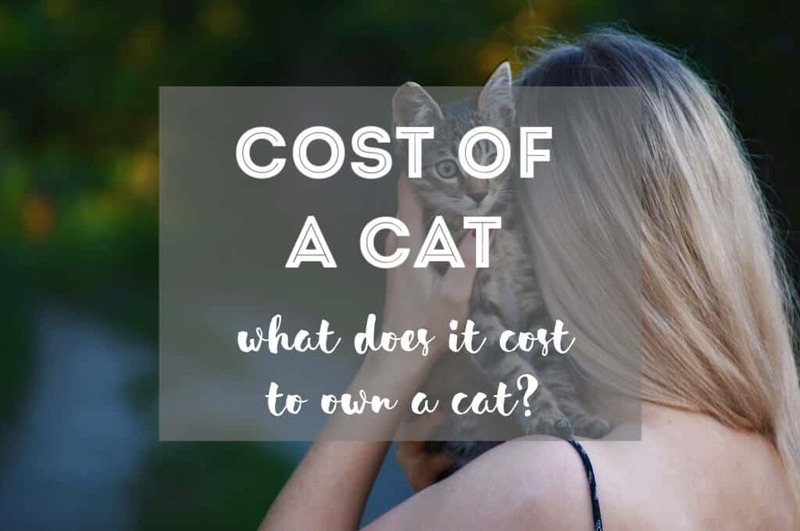 There are lots of things related to the cost of caring for a cat that you may not have thought about, and this article will guide you through all of them. Why Do I Need to Think About the Cost of Owning a Cat? According to UK law, animals have five welfare needs (1). These serve as good guidance to any pet owner. Whether you live in the USA, Canada, Australia, or elsewhere, these rules apply to you! Health: making sure they are kept healthy and protected from pain. Behavior: giving them the ability to act in accordance with behavior that is normal for their species. Companionship: to be housed appropriately and loved, i.e. not to be isolated or left without attention. Diet: to be nourished appropriately, not over or under-fed, and to be hydrated adequately. Environment: to be given a suitable and stimulating environment. Cats are living, breathing animals that need as much care and attention as a person does! That also means they use resources and have emotional requirements. Despite the fact you are ‘owning them’, this is a misnomer: You will need to fit into their lives as much (if not more) as they fit into yours! So that means making sure you budget properly. And that doesn’t just mean yearly, that means for their entire lives. 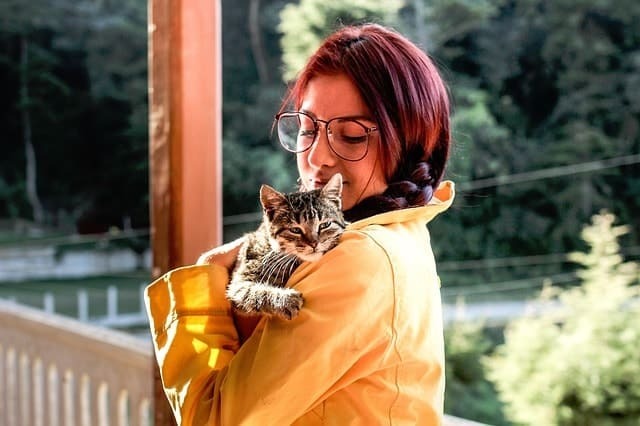 The average lifespan of a cat is 12-18 years, so if you’re getting a kitten, make sure you’re ready for the commitment. If you don’t budget properly, you could end up sinking yourself financially, while also compromising the life of your pet. If you aren’t able to feed them, take them to the vet regularly, or pay for someone to look after them while you are away, they will suffer from this neglect. How Much Does It Cost to Keep a Cat per Month? There are currently 95.6 million cats in households across the United States (2). So it’s safe to say that America is a pet-crazy nation. On average, a household spends around $500 per year on pets (3). While that’s a good starting point, it’s not the end of the conversation. How much it costs to keep a cat per month will depend largely on what you want to buy for them. There are a few, unavoidable necessities which we will go into greater detail below, but a vast majority of things that can be considered ‘luxury’ items can be purchased at your discretion. Below are some of the absolute basics when caring for a cat. Cats have a price point of entry, no matter how you acquire them. Shelters, often the best way of adopting a cat into your life, will sometimes ask for (or require) a donation. If you are looking at getting a pedigree cat, or a cat from a breeder, then you will be paying a lot more. Certain breeds of cat can cost multiples of $1000 if they are pure and from a reputable breeder. A lot of people ask: how much does cat food cost per month? In truth, it depends. If you buy normal food and feed your cat the recommended amount, you can expect to pay around $150-$200 a year. And don’t forget to add the cost of cat treats to that! It’s not always this simple, however. Your cat may have conditions that limit their diets, such as diabetes, obesity, or hyperthyroidism. These will require specially-formulated foods undoubtedly cost more if they are not actively prescribed by your vet. Of all the creatures on Earth, a domesticated cat is the fussiest! You may find that they don’t like cheap brands, or only eat fish, or meat, or gravy, or jelly. You can try to feed them what you want but don’t count on them always eating it! Other basic necessities include cat litter, which costs around $12-20/month. And don’t forget about the cost of the litter box ($5 -10 for plastic, $50-$100 automatic or self-cleaning, and $200-500 for luxury cat litter boxes like the Litter Robot). You will likely change litter boxes several times during your cat’s life as well, as your kitten will outgrow their old litter box. It may also be worth investing in more environmentally-friendly brands of litter that do not harm the planet in their manufacturing. These increase the cost of owning a cat, but they are better all-around! Scratching posts and cat trees are a key part of any cat’s life. Remember what we said about giving them a healthy environment? 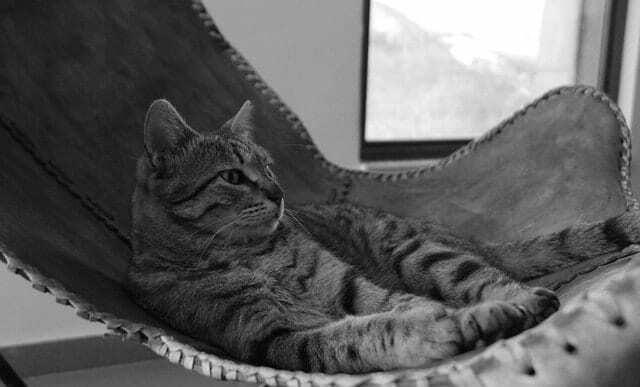 Giving your kitty a cat tree or scratching post improves their physical and mental health. These can be between $15-50 for a basic tree/post or $100-$200+ for large, modern, or uniquely-designed trees and posts. Every pet owner wants to play with their beloved cat. It’s relaxing, stimulating, and good for honing their socializing skills. But cat toys don’t always come cheap, especially if they have batteries or are motorized. Some estimates put this between $15-$25 per year, but if you are buying fancy products this will of course increase. The cost of caring for a cat also includes things like beds. Much like toys, these can be as fancy or rudimentary as you like and the prices range from $20-$100 dollars. If you live in particularly cold places, or if your cat is indoor/outdoor, you might consider getting an outdoor cat shelter or an indoor heating pad for cats. Unfortunately, there is no way to avoid vet bills. Life happens, and cats fall ill at times. Rescue cats may be subject to illnesses based on their history. They may have been fostered because the previous owners could not afford the bills, or they may have developed injuries while stray. Pedigree cats are not immune to this either, sometimes born with issues that are common genetically in their breed. There is no way to properly estimate how much a vet might cost, but some averages estimate around $200 yearly just for basic visits and treatments. Cats will need regular flea treatments (around $5-8 per month) at the very least, not to mention occasional worming or teeth cleaning. Even if you are lucky enough to avoid major issues, your cat will eventually grow older and may encounter health issues. On that subject, the cost of owning a cat is significantly increased when something unexpected happens. This may be emergency surgery following an accident. This also means that you will likely need cat insurance to cover against significant costs. This can range anything from $10-$100 depending on how good your coverage is. It’s a grim possibility no pet owner wants to consider, but when the cost of having a pet put down can be as much as $300, you want to be covered for every eventuality. Depending on what kind of cat you decide to care for, grooming may form a large part of their lives. Long and medium-haired cats will need regular grooming (4) to maintain coat health and to avoid potentially hazardous fur balls. Older cats or cats with arthritis may need this if they have trouble grooming themselves. Estimates for regular professional grooming are around $200 per year. Sometimes, it’s unavoidable that you have to leave your beloved kitty from time to time. In everyone’s busy daily schedule, there could be many reasons as to why this could happen. Travel is one of them! Pet boarding can cost anything from $10-15 per day upwards, and it can be particularly difficult to get spots over holiday periods so forward planning is essential. On that note about travel, if you like to wander the world with your feline friend then it will add to the cost of owning a cat. We have lived in 6 countries with Yoda and it costs an additional lump-sum everytime we move. Flying with your cat will cost you a minimum of $60-100 in vet fees (to get the necessary certification and updated vaccinations for travel). 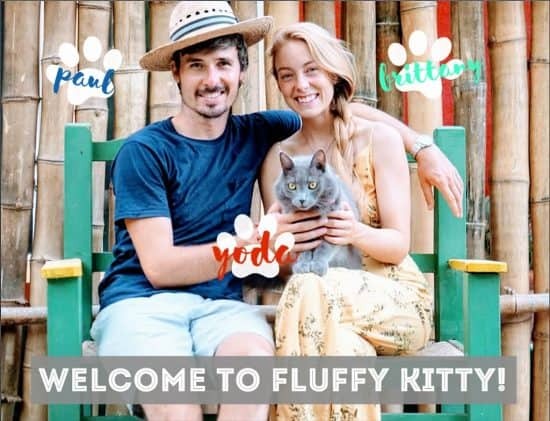 Moreover, you will pay approximately $100-200 to fly your pet in-cabin (depends on airlines) or $200-300+ to fly your cat in cargo (also depends on airline companies and travel route). Not to mention, you will need an airline-approved cat carrier if you wish to travel with your cat. As the pet industry booms so to do the accessories you can buy for your cat. So-called Pet Tech includes things like self-cleaning litter trays, GPS trackers or automatic cat water fountains. While they can make your life easier, they may not be the first thing you should buy. However, you should definitely invest in a microchip for your cat. Vets will often suggest this early on. A microchip will contain all of your details should they get lost or lose their collar. Plus, it will give you peace of mind if you have a cat who loves to roam ($25-$60). If this all sounds like a lot, you should know there are things you can do to reduce the cost of pet-ownership. Listen to your cat, they may not like fancy brands of toys or litters over cheaper ones. Purchase wisely. Some cats prefer a basic cardboard box over any plastic toy you can buy them. It’s strange but true! Family members and neighbors can be invaluable if you need cat-sitters. And if you are good at DIY, why not try constructing your own cat furniture such as scratching posts? A healthy diet avoids costly vet bills so feed your cat healthy food! Estimates of the cost of cat ownership range from $900-1000 for the first year, with an additional $300-$500 for every year afterward. This all depends on the food, litter, and toys you buy as well as their overall health and amount of time you go away. All of this relates to the cost of owning a cat! But what about the value of cat ownership? Yes, it seems like it is a lot. 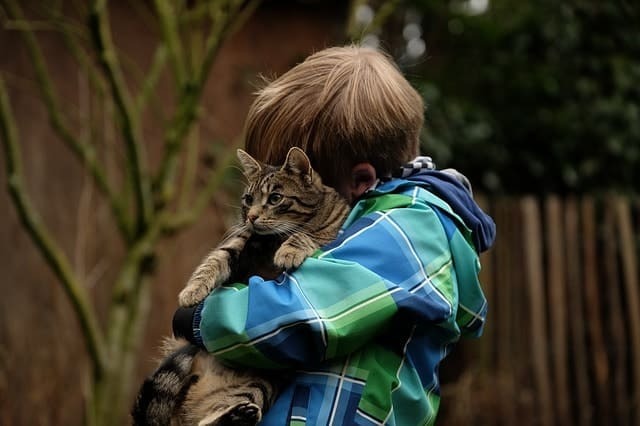 If you are sensible with your budget, willing to save a little for emergencies, and flexible enough to understand the cost of owning a cat, then here is what you get in return: lifetime companionship. Hey Carla! Right, the costs do add up especially when you consider all the vaccinations kitties need within the first year. I think we paid a $60 fee for Yoda’s adoption, but it included the neutering fee and his basic vaccination shots.